‘Here and Now’ is the new, amazing, pop-up touring, fine art exhibition from MilModa Art, offering a spectacular, unique selection of contemporary, original paintings for purchase, showing at one of the finest award winning Boutique Hotels, The Grange Hotel in York on 6th August. For all art lovers and collectors, this is the imperative location for your calendar with quality & value of the highest calibre. Proprietor Michelle Linger created MilModa Art. She has over 20 years experience working in the art world and wanted to create a touring gallery that could be appreciated not just in a static location, but by people from all over the country at selective chosen venues. All the paintings are hand chosen to guarantee a quality product and will make your living space unique to you. They will also give the finishing touch to a room or office space. Michelle comments. “All works are exceptional, original pieces that will look en vogue not only today but also in many years time”. It is not just highly regarded national and international artists that MilModa represents but they have two of the finest Yorkshire landscape artists, Semi-Abstract emerging artists Erin Ward and Maggie Melechi. MilModa first discovered Erin after she won the prize for best emerging artist at the Leeds Art Show a few years ago. In one of her first professionally curated collections, she was represented by Michelle Linger and this led her being nationally acclaimed. Erin paints working from memory of the Yorkshire moors but her recent series of works are inspired from visits to coastal regions. She describes her inspirations “I love the areas where the sea meets the land and rivers where salt water meets fresh water”. She also has a fascination with the change of light. She continues “A fascination of opposites, hard rock against water, the meeting of two extremes, yet it’s light and space which play the important part in my work. I use the landscape as a starting point for a painting but then let the process of painting itself take over, until it forms a response that I’m after”. Her technique consists of building textures from using palette knife, brushes and even rags after focusing her choice on a limited palette colour range. In Maggie Melechi’s works, it’s Northern England meets Southern Italy with vivid colour and the little villages in Puglia and famous Italian gardens, lined streets and memories. The mixed cultures of her husband’s birthplace, blends passion into her vibrant pictures of the Yorkshire landscape. Photography is also an important source of reference – her camera being her sketchbook, which travels with her. On her return, she locks herself in her studio creating a small collection of vivid works of art. Kathy Little was trained at the prestigious Royal College of Art in London and her influences are rivers and waterways She is inspired by her response to the changing light and movement of the River Dee. Multilayered surfaces attempt to capture a particular mood or time of day with gestural brush marks creating a sense of movement and fluidity. Reflections and shadows from the riverbank, trees and shrubbery explore the depth and mystery of the river surrounded by its protective silhouettes. She has been rewarded with the privilege of exhibiting in this year’s Royal Academy Summer exhibition where her picture sold within minutes of the official launch. One of MilModa Art’s established, highly respected, national, contemporary artists is Fleur Deakin, whose original, one-off works are in high demand. No written description can replace viewing these eye-catching brightly coloured paintings that shift between the semi abstract and floral representation. Seeing them in reality is essential viewing for any art enthusiast. 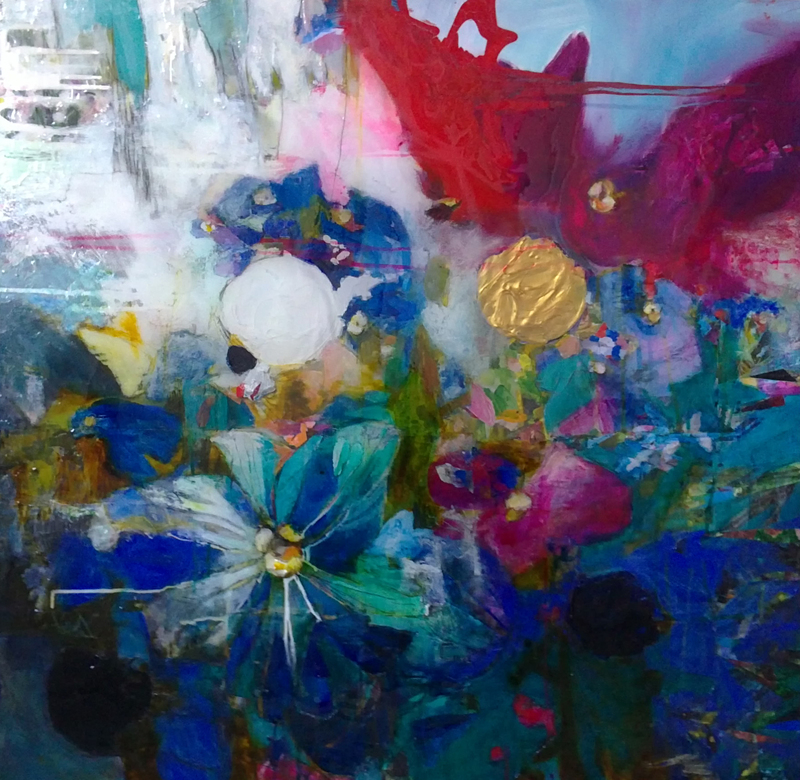 Fleur says her new large canvas ‘The Great Temptation’ is layered with rich and intense pigments, inks and intricate collage and continues “The title is taken from a chapter title in the book “The Mill On the floss” by George Elliot. This picture is more moody and textural than my previous works”. Some of the artists’ stunning paintings associate with their homeland and recalling memory. Standing out in the collection, are dazzling paintings from Greek artist Charles Borrell, whose canvas works relate to his birthplace in the port city of Volos, at the foothills of Mount Pelion, which has provided him with a magical and mythological backdrop, rich in history and with a wealth of diverse natural beauty of his landscapes and seascapes. 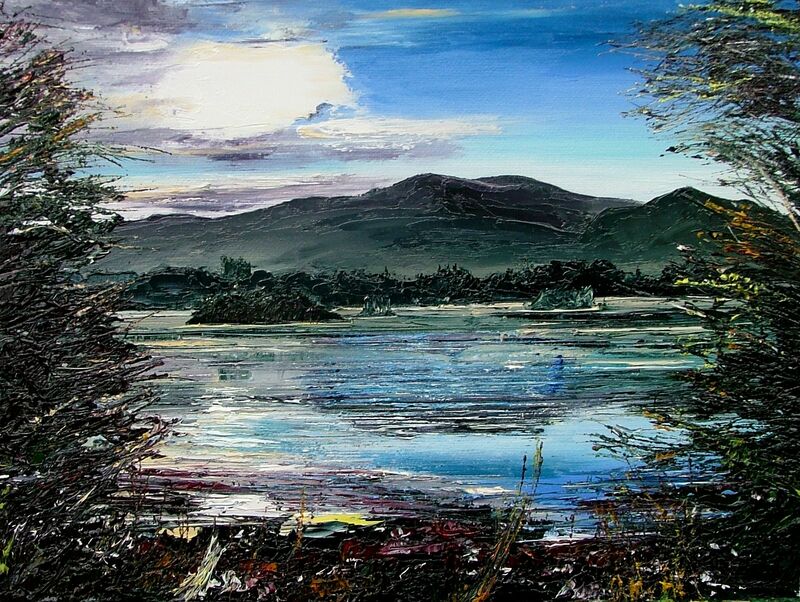 Irish artist Tina Reed is famous for her unique, vivid varied styles of painting in oils with palette knife and the influences from the Irish countryside surrounding her studio and the way the seasons influence the mood and colours she creates from her palette. Recently her passions have turned to painting horses and the beauty, power and movement of the racehorse. She could not have wished for a better location than York for her work to be exhibited. 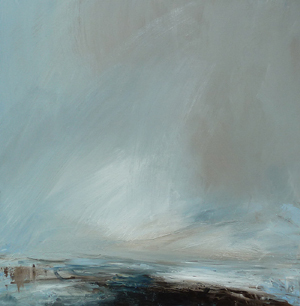 Also showing in the ‘Here and Now’ exhibition, are many other highly regarded national and emerging artists with works including abstract, semi-abstract, landscape, seascapes and floral. All the above, mixed with other extraordinary, stunning quality artists’ talent, is a rare opportunity to purchase such exceptional perfection.